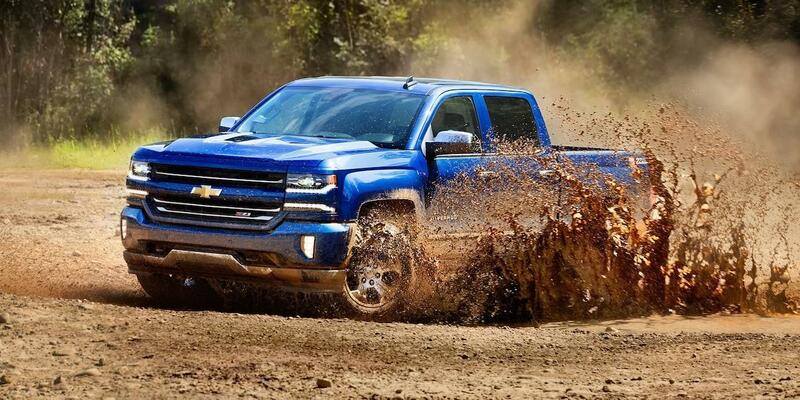 Chevrolet knows tough and perfectly priced trucks, no doubt about it. However, it seems that they have outdone themselves with the 2018 Chevrolet Silverado 1500 this year. This strong, capable, and extremely durable pickup truck is available in 4WD or 2WD, three cab and box sizes, nine exterior colors, and seven trim levels. If that wasn't enough, it also offers Best-In-Class available V8 fuel economy and horsepower. To truly understand why the experts at Essig Motors are so excited about the 2018 Chevrolet Silverado 1500, we thought it would be helpful to take a closer more detailed look at this fantastic pickup truck. When you shop for a pickup truck, you are first in search of a powerful truck that will get the job done. The 2018 Chevrolet Silverado 1500 delivers all thanks to three exciting engine choices. Many trims come with a standard 4.3-liter EcoTec3 V6 engine that produces 285 horsepower at 5,300 rpm and 305 lb.-ft. of torque at 3,900 rpm. The next level of production is the 5.3-liter EcoTec3 V8 engine that pumps out an efficient 355 horsepower at 5,600 rpm and 383 lb.-ft. of torque. Last, but certainly not least, is the monster 6.2-liter EcoTec3 V8 engine that gives drivers an impressive 420 horsepower at 5,600 rpm, 460 lb.-ft. of torque at 4,100 rpm, and a best-in-class 12,500 pounds of towing capability. If you go with the crew cab LT or LTZ trims you also get the eAssist powertrain that gives you up to a 12% improvement in fuel efficiency, stop/start technology, active aero shutters, and regenerative braking. Other performance features include both a six-speed and eight-speed automatic transmission, maximum payload of up to 1,880 pounds, and an available engine block heater. Just because your working hard doesn't mean you shouldn't stay connected, comfortable, and entertained. The 2018 Chevrolet Silverado is as smart as it is strong. Depending on which trim level you go with, you can get the innovative Chevrolet MyLink audio system with eight-inch Diagonal Color touch-screen with Navigation that features Apple CarPlay, Android Auto, 3D maps, Sirius XM Satellite Radio, and gesture recognition that allows for swipe, click, and drag operation. To keep you as comfortable as possible there's dual-zone automatic climate control, front, leather-appointed, heated, 40/20/40 split-bench seats, and a leather-wrapped steering wheel with cruise and audio controls. Because there are some many different 2018 Chevrolet Silverado 1500 to choose from, the key is to see it in person. 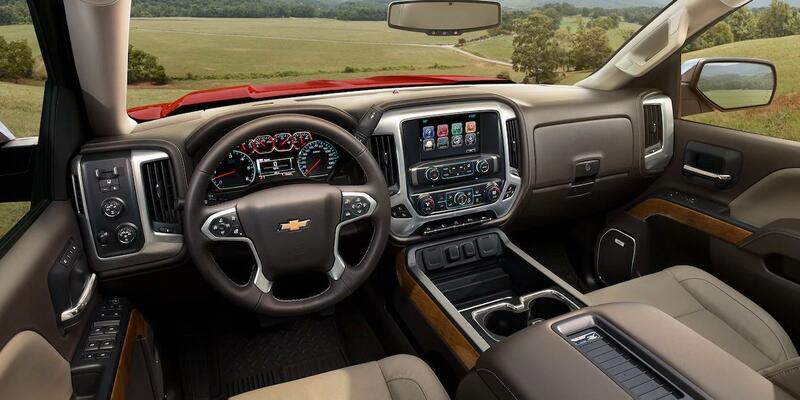 At Essig Motors, we make it easy for drivers in the Aledo, IL area to get behind the wheel of the 2018 Chevrolet Silverado 1500 and take one for a test-drive. Contact us today, so you can discover why we think you'll fall hard for the 2018 Chevrolet Silverado 1500.